Hi! We are Raymond and Dawn Clark, two people with a passion for making a difference. Helping people and filling a need in our community makes us happy. We truly believe in the transformative power of one person, one couple, one family, one business standing for what they believe in. We take great pride in all we do. 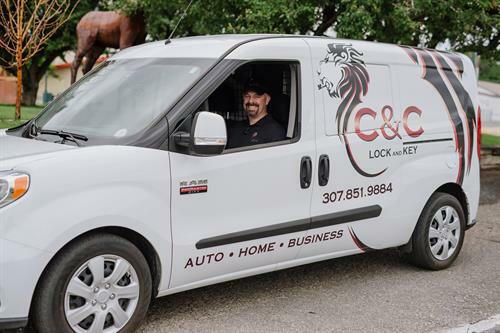 We founded C&C Lock and Key with the idea of bringing quality locksmith services to our rural Wyoming community. We're excited to offer you professional and competitively priced Locksmith services spanning Fremont County Wyoming. We are completely mobile ,which allows us to come to where you need us most.